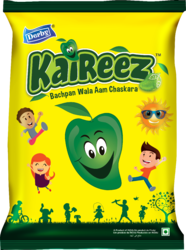 Under the supervision of our experienced professionals, we are providing high quality range of Kaccha Mango Candy. Mango is king of fruit in our indian market and its very seasionable fruits. but we are always available with this tast for serve you batter. Etofy Mango is give you pleasurable tast when you need. Yoli Yola Brand Mango Flavour Candy 20pcs packing , this comes in 10pouch chain packing .